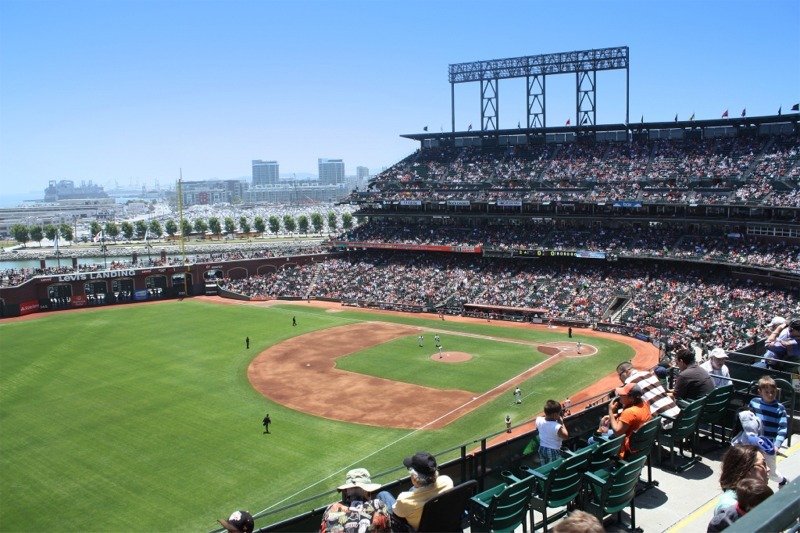 Of the 30 ballparks in Major League Baseball, there are a few that should be on every baseball fan’s bucket list. 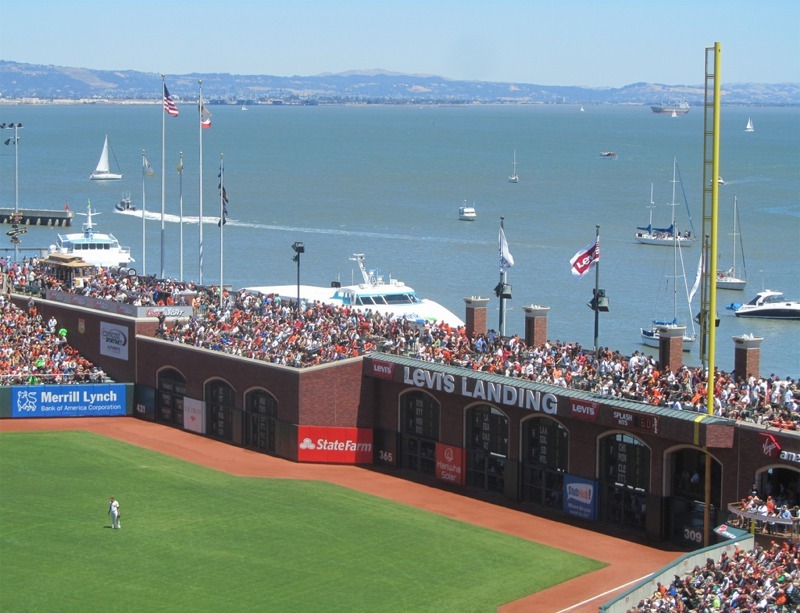 Oracle Park’s charm, character and breathtaking views can only be rivaled by few other ballparks in the country. 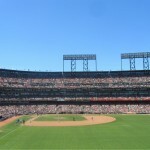 This was not always the case for the San Francisco Giants as they played at Candlestick Park for over three decades. 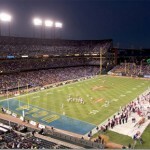 Notorious for its windy conditions, Candlestick Park was not only the home of the Giants, but the San Francisco 49ers. 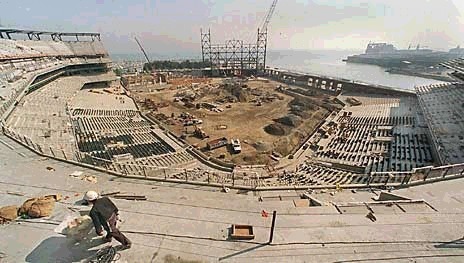 As early as 1976 when Bob Lurie purchased the Giants, preventing them from moving to Toronto, he began planning for a new baseball stadium as the team was losing money at Candlestick Park. 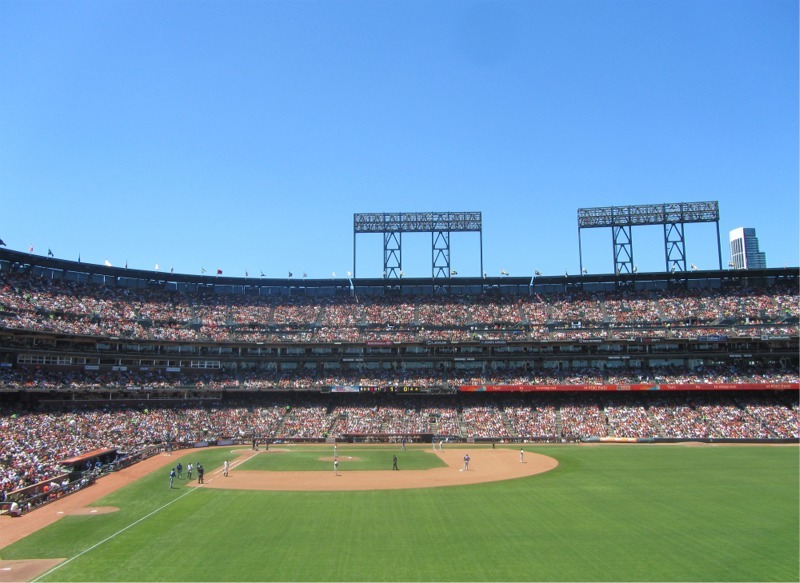 In the 1980s San Francisco official proposed placing a dome over Candlestick Park, but that plan failed. 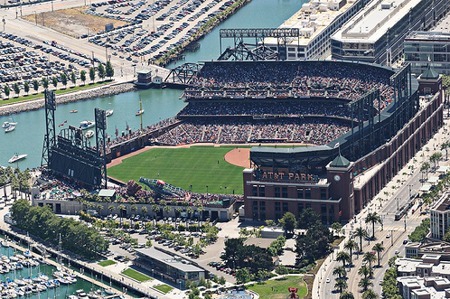 In both 1987 and 1989 San Francisco residents rejected referendums to finance construction of a new stadium. 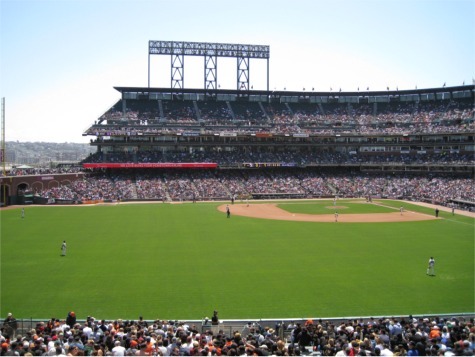 Residents in neighboring Santa Clara and San Jose also rejected ballot measures for a new ballpark. 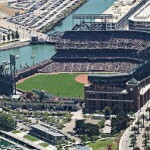 The future of the Giants looked bleak in San Francisco as officials in Tampa were lobbying the team to move there. 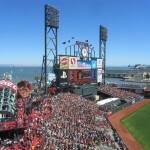 However, in January 1993 Peter Magowan purchased the Giants, keeping them in San Francisco. 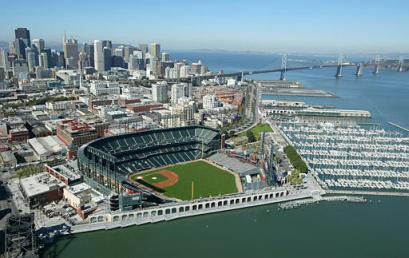 Two years later in 1995 the Giants announced plans to build a new ballpark in downtown San Francisco in the China Basin district. 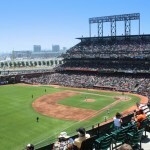 The ballpark was the first to be privately financed since the construction of Dodger Stadium. 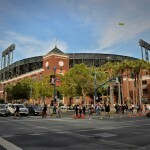 Construction began on December 11, 1997 and opened on April 11, 2000 when the Giants played the Los Angeles Dodgers. 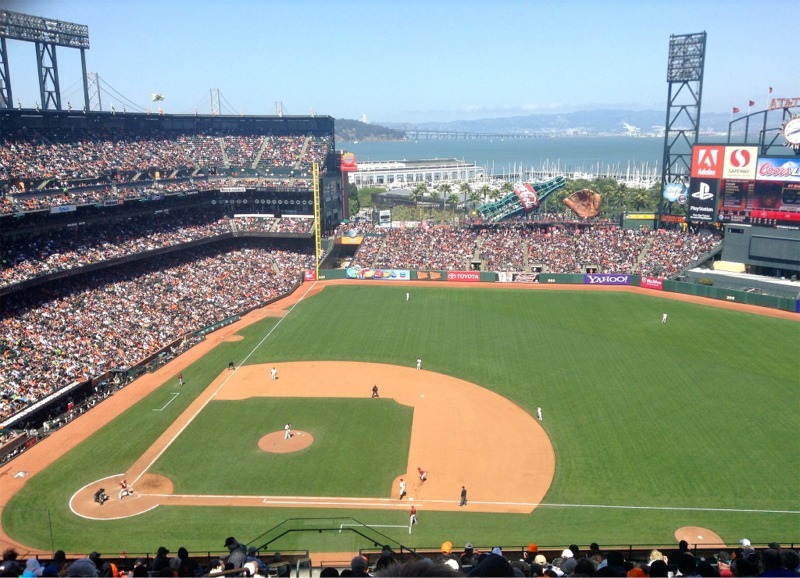 The ballpark was originally known as Pacific Bell Park when the telecommunications company purchased the naming rights for $50 million over 24 years. 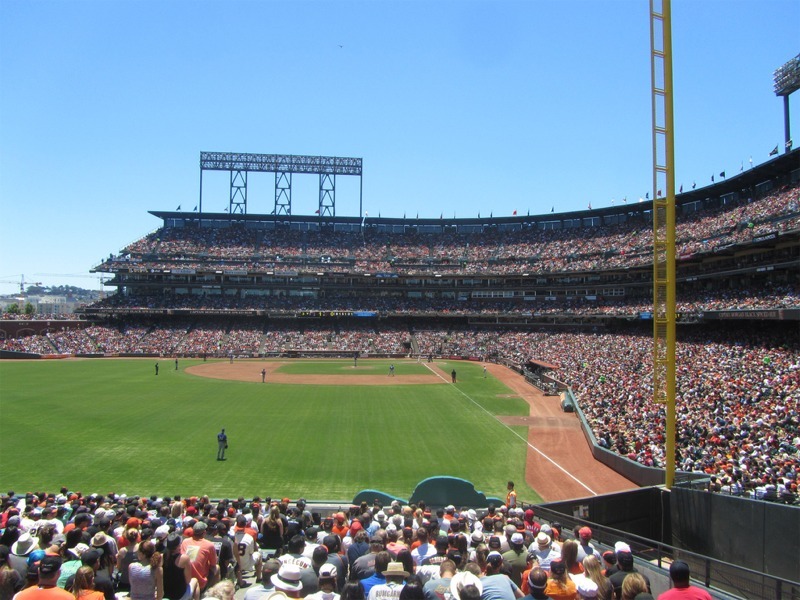 It has since been renamed SBC Park, AT&T Park and now Oracle Park after the software company purchased the naming rights for 20 years prior to the 2019 season..
Barry Bonds 715th homerun on May 28, 2006 passing Babe Ruth. 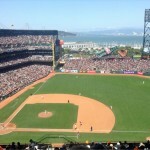 Barry Bonds 756th homerun on August 7, 2007 passing Hank Aaron. No-hitter by Jonathan Sanchez on July 10, 2009. 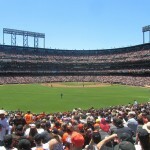 Matt Cain pitches a perfect game on June 13, 2012. 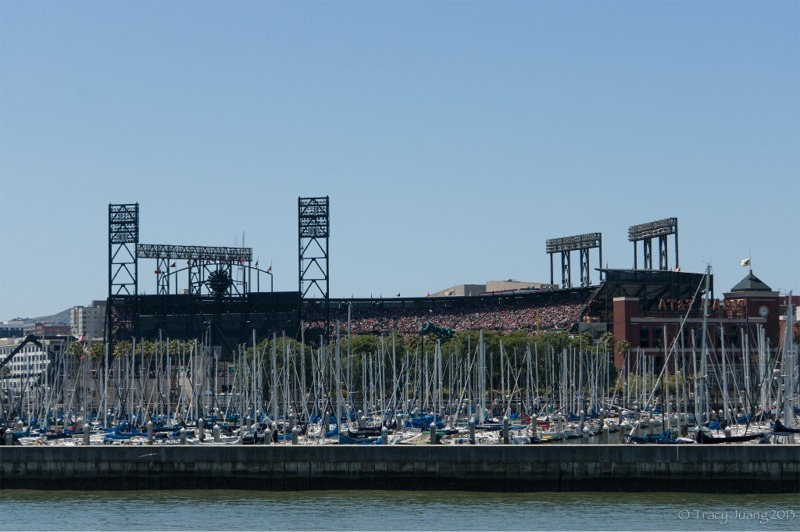 Nestled at the edge of downtown San Francisco, Oracle Park sits between King Street and the China Basin, part of the San Francisco Bay. 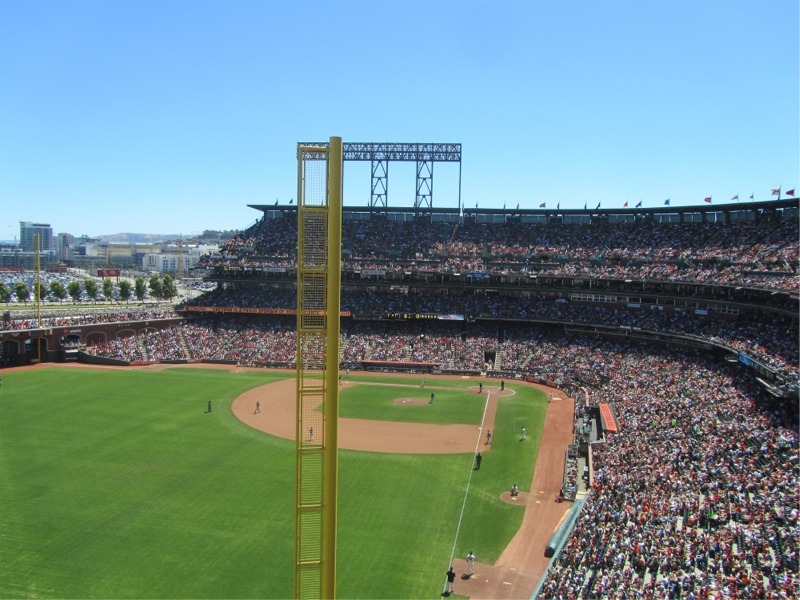 As fans approach the ballpark they see a magnificent steel and brick structure that features two clock towers, each 122 feet tall and featuring pyramid-shaped roofs topped by 45-foot tall flagpoles. 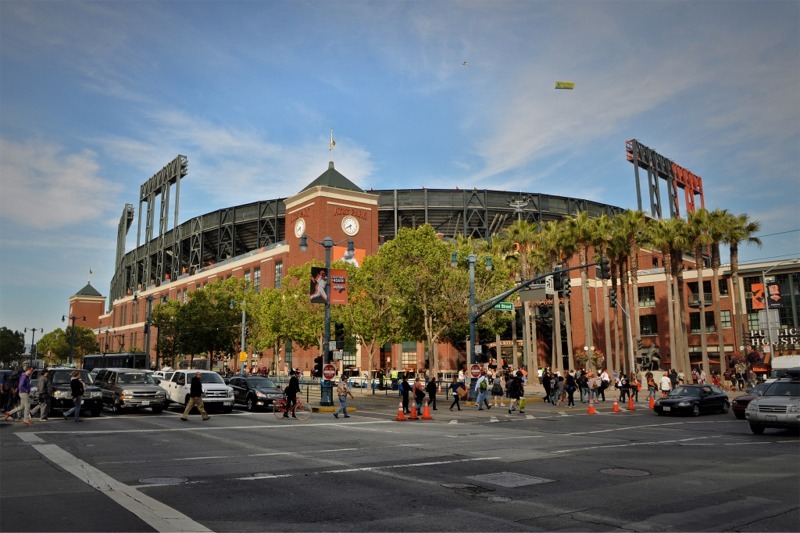 At the intersections of King Street and 3rd Street is the homeplate entrance to Oracle Park where a statue of one of the greatest players in baseball history, Willie Mays, can be found. 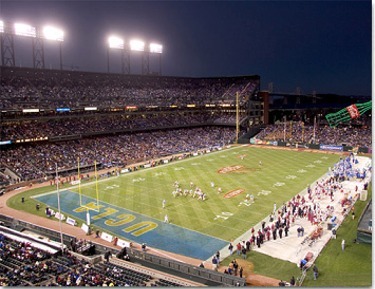 Once inside the ticket gates, expansive concourses allow fans to get to their seats. 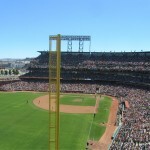 The main three tier grandstand consists of 41,600 green seats that extend from behind homeplate to both the foul poles. 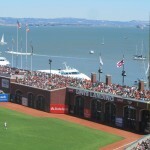 Bleachers are located behind the left field fence. 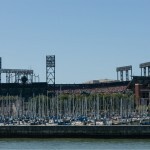 Only a walkway is above the right field fence due to the China Basin, also known as McCovey Cove. 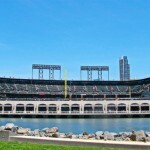 A sidewalk between the water and the right field commemorates historical moments in Giants history. 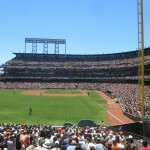 A screened fence that is part of the right field fence allows fans without tickets to see the action inside Oracle Park. 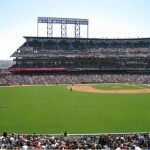 The HD video/scoreboard is located behind the centerfield fence. 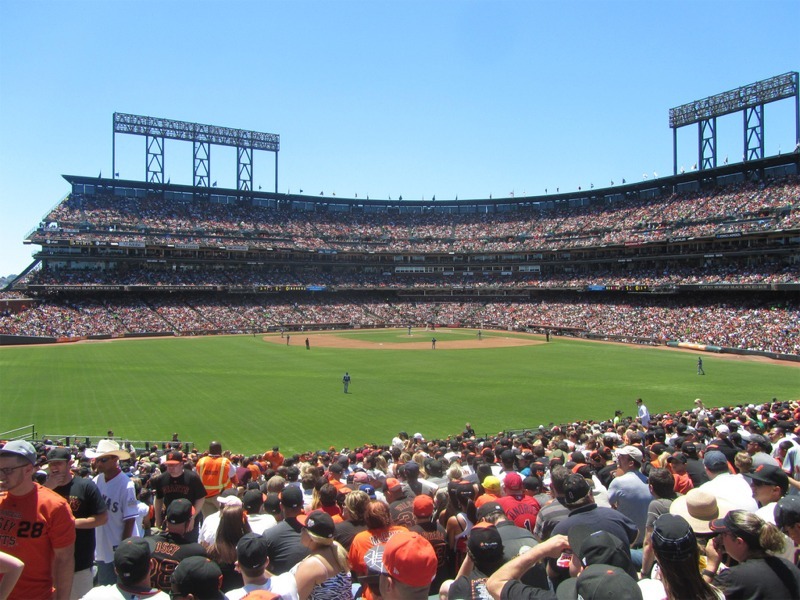 There are numerous entertainment options to keep fans entertained at Oracle Park. The Coca Cola Fan Lot is an interactive play area for children and adults. 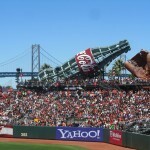 Fans of all ages can enjoy a slide into home plate from one of the four slides inside the 80-foot wooden Coca-Cola contour bottle. 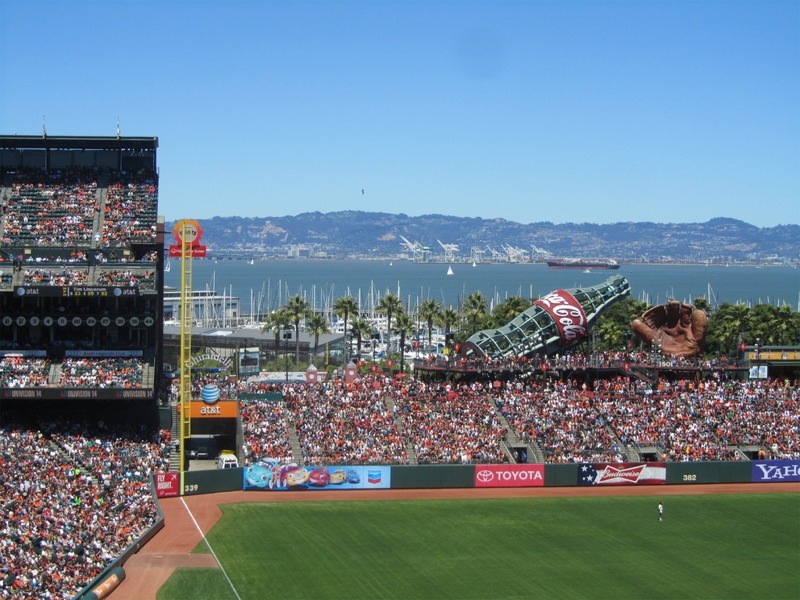 Fans can stroll up to the world’s largest baseball glove or check out the views of the San Francisco Bay area from the outfield area. 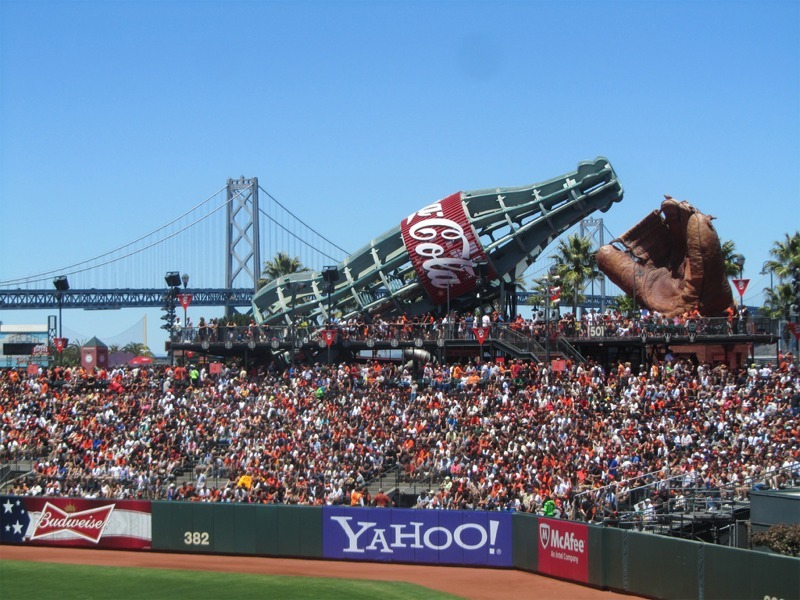 When a Giant player hits a homerun, strobes flash inside the Coca Cola bottle, bubbles appear to float from the bottle’s mouth, and green and white lights flash up and down the neon tubes running along its ribs. 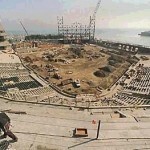 Since its opening there have been few changes at the ballpark. 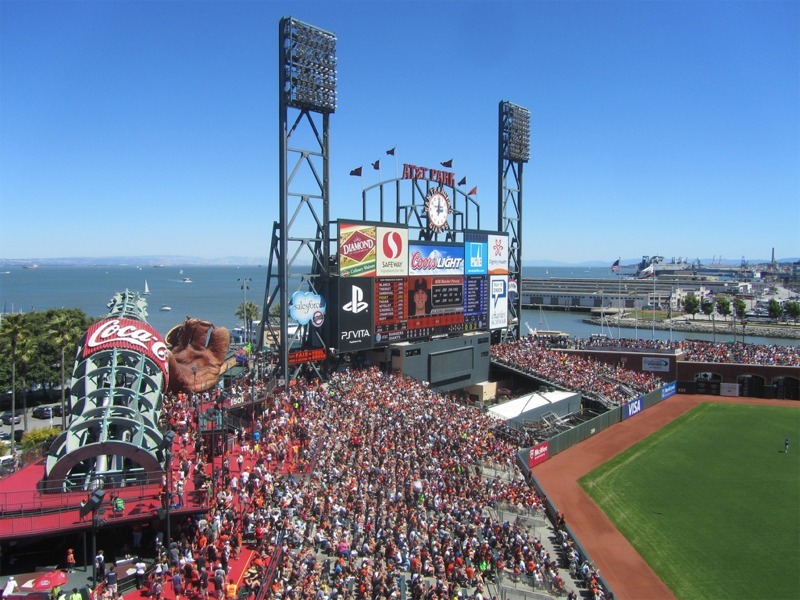 Prior to the 2019 season the Giants replaced the video/scoreboard in centerfield with one of the largest ones in baseball. The 4K videoboard covers 10,700 square feet and is three times the surface area of the previous one. 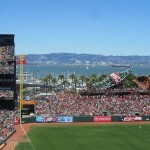 Oracle Park is an excellent place to watch a baseball game because of the of the beautiful views of the San Francisco Bay and the surrounding area. 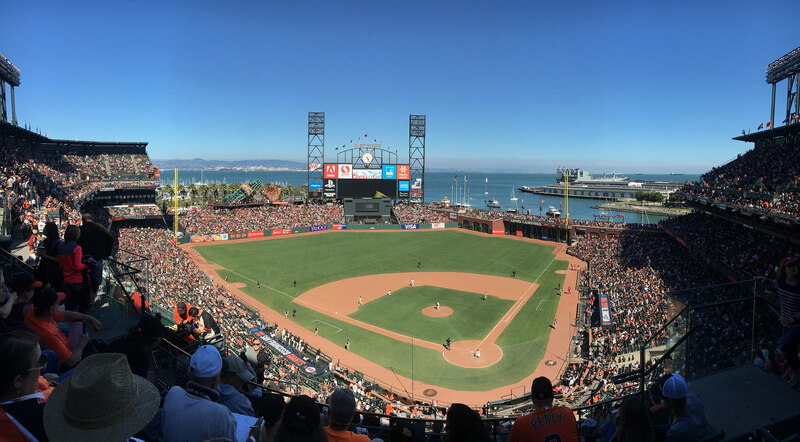 It also helps that the Giants have remained one of the most competitive teams in baseball winning three World Series championships: 2010, 2012, 2014.